Hindutva or Hindu nationalism has a special resonance for every true citizen of Hindustan or India (also known as Bharat) whose heart beats for his motherland. He proudly wears it as a badge of honour as it makes his life more meaningful and purposeful. 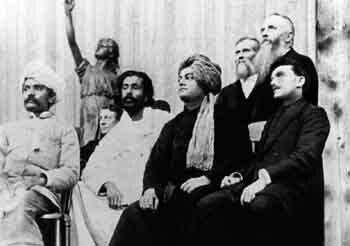 Hindutva also gives Bharat a unique and respectful place among the comity of nations. Patriotism sans nationalism would be tantamount to love for one’s country without the collective self-esteem of a people or a yearning for a unique and distinct cultural identity which is rightfully the core ipseity of a people. Hindutva is the binding force that brings and blends together people of different regions of our country, known for its rich divergence of ethnic, linguistic and sartorial identity. Hindutva per se does not imply that a person subscribing to this ideology necessarily has to be a member of the Hindu religion. It is a common core value of every patriotic Indian, irrespective of his religious or spiritual proclivity. It is a coalescing agent or factor that enables the cohesion of all patriotic Indians of varied backgrounds and beliefs into a united people to make the task of nation-building feasible. However, India being his own birth place as well as that of his religion, no Hindu (in the current context, the usage of the term Hindu is restricted to refer to a member of Hinduism) faces at any point of time the predicament of having to choose between his loyalty to his religion and his motherland. For a Hindu, his religion and motherland are happily and inextricably intertwined and loyalty to both comes naturally and spontaneously. In fact, a Hindu would find nothing more absurd or far-fetched a proposition than to have to choose between his country and religion. The same is the position of a member of any other religion that emanated from India such as Buddhism, Jainism or Sikhism or a faith like Zoroastrianism which was given refuge by India in the face of religious persecution. That said, what about those religions of foreign origin, which were implanted on the Indian soil with the advent of the Turko-Central Asian marauding forces or European colonizers? Or could the question be dismissed outright or swept under the carpet as one of hypothetical or improbable a scenario or situation where one is torn asunder by loyalty to one’s country and loyalty for one’s religion? This kind of a paradoxical situation might have been considered ludicrous or contemptuously shrugged off in a different national or international scenario as existed till a few years ago; but not in today’s changed circumstances, which have thrown up a melting pot of religious extremism and shifting territorial borders, resulting in an unholy mix of strife, terror, bloodbath and gross violation of human rights on a scale seldom witnessed in history. We have already been privy to unfortunate and deplorable instances of recalcitrant religious elements in our own country, including some Members of Parliament, being vocal about their holding their religion in primacy in preference to their national identity. This kind of rabid religious fundamentalism could, if not checked right at the initial stages, become widespread among the members of the particular community either out of fear for a religious diktat by the Clergy or on their own volition out of misplaced values and beliefs. It is in such extraordinary circumstances or during challenging conditions that Hindutva stands out and shines like a ray of hope and guides one in a crisis or dilemma in national life or service to the nation. Loyalty to the motherland is the supreme virtue of every patriot. Religious or cultural affiliation could not be allowed to be a rigid impediment in the way to loyalty to motherland. It has to be tweaked or pruned to the extent of shaping it to complement one’s patriotism. When Prime Minister Narendra Modi recently spearheaded the cause of Yoga and its promotion on a never-before scale to enable it to assume a truly international stature, all right-thinking citizens of our country rallied around him, with the exception of some skeptics and naysayers who included religious fundamentalists and the Main Stream Media (MSM), acting at the behest of vested interests. The thrust of opposition was that promotion of Yoga was intended to further the cause of BJP’s ‘saffron agenda’ and that Yoga militated against the religious sentiments of minority communities. The detractors saw a Trojan horse in Yoga and a sinister design behind the move that was actually meant to promote a purely non-religious component of Indian culture. The fact that Hinduism had embraced Yoga, which contributes to the development of physical and mental discipline, thousands of years ago and immensely benefitted from it was beside the point. A similar move by people of other nationalities and faiths would equally benefit all sections of humanity as in the case of Indians in general and Hindus in particular. Several member-countries of the UN, including Islamic countries, which were members of the OIC (Organization of Islamic Cooperation), supported the resolution to adopt an International Yoga Day while the detractors within the country of origin of Yoga sulked, opposed, protested and boycotted the effort and its celebration. This was a clear case of religious affiliations and extraneous considerations blatantly working together to thwart a unique manifestation of Hindutva. With BJP wedded to Hindutva, which is an official policy of the party, every move by the BJP government at the Centre in the direction of promotion of Hindutva comes under scanner by the Opposition parties and the MSM, which do not pass an opportunity to harangue the government and the ruling party with the charge of communal bias. When the government announced December 25th, which is the birth anniversary of former Prime Minister Atal Behari Vajpayee, as Good Governance Day and declared it a working day for the government, it was bitterly opposed on the grounds that the government’s move would dilute its significance as the day of Christmas and hurt religious sentiments of Christians. In fact, it was wrongly argued that the government’s move constituted a deliberate bid to push down the status of equality of religious minorities, guaranteed by the Constitution, notionally by a notch, with scarce regard to the religious sentiments of the minority Christian community. The fallacy of this argument stands exposed by the stand of members of the Christian and Islamic communities and others who bitterly complained against the ban of beef imposed by the government of Maharashtra, in deference to the wishes of the majority Hindu community, at the end of a due legislative process that had lasted several years. The champions of beef eating, comprising primarily Muslims and Christians, demanded that their right to eat the food of their choice be upheld, in utter disregard to the sentiments of the Hindu community, which considers cow a sacred animal and worships it. How could it be gainsaid that the religious sentiments of minority communities be respected and celebrated and those of the majority community damned? It is an unfortunate fact of history that all the governments at the Centre that had preceded the present NDA-II government (with the exception of AB Vajpayee-led NDA-I government, which was severely hampered on account of lack of numbers in Parliament) lacked a vision. Nor were the economic progress of the country and social development of the people their priorities of governance. 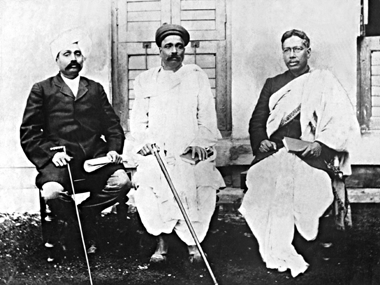 Whenever the Congress Party was in power, either on its own or at the head of a rainbow coalition, it had strived, with single-minded devotion, for the perpetuation of dynastic rule and consolidation of economic gains and political power for the ruling elite, with total disregard to the welfare of the people at large. To this end, the powers that be misused the vote bank strategy. Minority religious communities were viewed as vote banks, which the government took great care to appease by pandering to the smallest of their whims and fancies. This reprehensible approach of causing an artificial schism among the people of the country on religious lines, was inherently inimical to healthy and wholesome governance, and should have sounded alarm bells for the majority community. But the shrewd manipulators of power had their own answer to the situation to pre-empt such a possibility. They divided members of the majority Hindu community too – on the lines of caste, which caused artificial fragmentation of the society. This clever ploy prevented consolidation of votes of the majority community into a single sizeable bloc unlike in the case of minority communities. In short, politics was not really the sum total of its parts. Appeasement of religious minorities in the name of Secularism and endless grant of reservations to certain sections of the majority community in the name of social justice, and pitting the leftout sections of the majority community against beneficiaries of the government’s vexatious reservations policy were the cardinal principles of those who had grabbed power when the country attained independence by virtue of their predominant position in a certain stream of the movement for independence. Not surprisingly, Hindutva figured nowhere in their scheme of things. In fact, Hindutva was anathema to their brand of politics. They used it as a bugbear for scaring the minority communities with the possibility of a ‘saffron wash’ and manipulating their support at the polls. With the coming to power of the BJP and its allies in May 2014, it was time for standing the votebank politics of Congress on its head. This needed, however, to be done gradually and in a systematic manner without giving cause for undue criticisms and doubts among BJP’s supporters and well-wishers, of indulging in vindictive politics instead of focusing on good governance. India is the only country in the world in which a State where a minority religious community is living predominantly and has been allowed to have a special status and its own Constitution. The unique position of the State of Jammu and Kashmir is not congenial in the long run to the idea of members of various religious communities in the country living together peacefully in harmony as was envisaged by the founding fathers of Bharat. We should neither have wheels within the wheel nor can afford to have the people of Kashmir living in an island for much longer. It is not unlikely that the current state of affairs would lead to at least a section of the people of Kashmir, already living with a closed mindset, wanting to drift away from the mainstream nationhood of Bharat. That kind of a situation could be forestalled only by the exposure of the people of the valley to the successful application of Hindutva in the rest of the country for its betterment. The people who are practising Islam have been allowed to have their personal law in terms of Sharia. It is evident that the Muslim personal law is unfair to the womenfolk of the community in matters of marriage, divorce, inheritance of property, etc, which does not augur well for their equal treatment with men. Unfair treatment of women and gender discrimination albeit with the sanction of religious tenets of the community are not tenable in a secular country like India. The Constitution was changed, when the courts in the Shah Bano case ruled that a secular nation must have only one law, and not separate religious laws. Islamic religious and educational institutions were promised a policy of non-interference. This situation calls for a drastic change in the form of a Uniform Civil Code, cutting across all religious communities without exception. There has, however, been a recent landmark judgment by the Supreme Court in the case of a Christian lady fighting for rights as her own illegitimate child’s guardian. While granting the lady the rights, the Court did not take cognizance of certain tenets of Christianity cited in support of the case against her claim. It further stated that there should be a Uniform Civil Code in a country like India, and religion should be kept away from law. We may hope that the judgment will prove to be a milestone in BJP’s quest for a Uniform Civil Code. In keeping with the spirit of Hindutva, senior leaders of the BJP have been appealing for the need to inculcate a sense of pride in youngsters for the Indian culture, customs, traditions, values and languages as against the current trend of aping the West. A true sense of appreciation of Hindutva is feasible with a factual and unbiased depiction of Indian history in text books, which would instill a sense of pride amongst our youngsters with regard to the past glory of our country and an urgent need for its resurrection. Indian history as has been rendered by the yesteryear colonial masters with a vested interest, either completely neglects the bravery, valour and patriotism of true Indian heroes who fought the marauding forces of invaders and colonialists or portray them in poor light vis-a-vis the alien warlords in a winner-takes-all account of history. A review of our education system with the strong underpinning of Hindutva is the need of the hour. If in the process of achieving the goal for betterment of life of the people and resurrection of the lost glory of the country, a few toes had to be trodden on, it would still be worth pushing the envelope. Even if we agree about what you say about hindutva, today, the concern is not about religion or caste. It is about poverty and persecution which is restraining us from becoming developed. I agree that uniform civil code and section 370 should be dealt with by the present government in a proficient and timely manner. However the interest of minorities can never be put on stake. BJP and RSS are sole protectors of hindu people as all other governments are just exploiting caste based political structure of India. In bihar and bengal BJP should win. hence hinduism and primary right on Hindustan cannot be denied by any government. A person like you if will endorse right wing activism, then what will happen to Indian economy and fiscal gaps. I believe we should concentrate and make efforts for economical dexterity. Hindutva is an anachronism. Greeks are not worshipping Hercules and Atlas whereas Idolaters in India are still mired in Rama and Krishna. History interpolated with mythology is Hinduism. Ramayana and Mahabharata are not even didactic stories but concocted conspiracies of Ruling Class and Priest Class in Indian sub-continent to subjugate the Working Class. Success has many father and there is no dearth of BJP well-wishers today. However,in my earlier articles also Iâd emphasized that as a Hindustani we are proud to be Hindi as Eqbal has said â Hindi hain hum watan hain, Hindustan hamarah. Weâre Indian nationals and India is ourâs. We have no problem with the world Hindu. Problem is when the wool is pulled over the eyes and a specific culture and tradition is forced as the bulwark of majoritism. Today, the nation of India is at the crossroad of history. The worry is that India â a subcontinent known for its diversity, accommodation ad pluralism is losing its trajectory. Basic freedoms are being violated in name of cultural nationalism. Religion is used to win votes. Vegetarianism is forcefully imposed in certain areas. Today, the nation stands in danger of becoming bigoted and even undernourished to appease a certain segment of society. Sorry to notice that even âmerinewsâ that Iâs so proud to contribute has succumbed to RSS pressure and losing its even scale. It is unfortunate the apex court refused to intervene at a time when the nation is strongly debating on the need for abolition of death penalty provision itself. BJP is also like any other political party, which are eager only to grab votes, but not ideologies. Thats all depends on situations. It is interesting to not that CPM or Left Front adopts pro-Hindu attitude in Kerala to attract HIndu votes, as Congress champions Muslim and Christian votes. The scene is almost similar in West Bengal. This argument is never ending boss. Instead we should think of becoming France or United States. Their development is backed by unity of people and efficiency of government. In India we fight over religion and castes. BJP is RSS agent. RSS must be banned like they were when they killed Gandhi and when they incited the mob to destruct Babri masjid. hindus will be oppressed by today’s minorities. It is high time to wake up. End all caste based reservation. Why even IAS and IPS officers’ category has reservation for SCs and STs? If something is capable of administrating then what is need of reserving special seats for people? Before independence, congress attempted to lure muslims to ensure that they get seats in provincial legislatures. This trend has continued till today and we are in grip of povery and backwardness. Hello my friend. I wish to say that this article is awesome, nice written and include almost all important infos. I would like to peer extra posts like this. An article by Shri Arun Shourie, in the wake of what has come to be known as the Hindutva Judgement by the Supreme Court, put the concept in greater detail. A weekly column by Shri Arun ShourieApril 24th, 1996In holding that not all references to religion in election speeches necessarily amount to corrupt electoral practices; that it is the soliciting of votes on the ground of the religion of the candidate or that of his opponent which is a corrupt electoral practice; that statements made by others do not have the same effect as those made by a candidate himself — in all this, as we saw, the Supreme Court has merely reiterated what the the law itself says and what the Supreme Court has itself held on previous occasions.